Victor E. Frankl was born in Vienna, Austria. He studied medicine at the University of Vienna and later specialized in neurology and psychiatry. His early work was influenced by his contacts with Sigmund Freud and Alfred Adler, although he would later diverge from their teachings. After surviving three years in Nazi concentration camps during World War II, Dr. Frankl returned to Vienna and wrote more than 30 books. He married for the second time to Eleonore Katharina Schwindt (his first wife Tilly Grosser was killed in Bergen-Belsen) and the couple had a daughter. In 1948, he earned a Ph.D. in philosophy with a dissertation on the relationship between psychology and religion. In 1955, he was awarded a professorship of neurology and psychiatry at the University of Vienna, and a visiting professorship at Harvard University. He lectured and taught seminars in many countries around the world. Viktor E. Frankl's book Man's Search for Meaning: A Young Adult Edition was available from LibraryThing Early Reviewers. 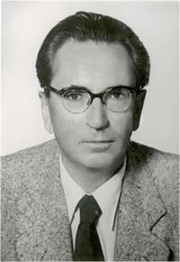 Viktor E. Frankl is currently considered a "single author." If one or more works are by a distinct, homonymous authors, go ahead and split the author. Viktor E. Frankl is composed of 33 names. You can examine and separate out names.